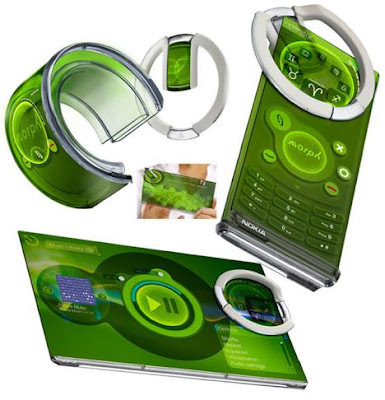 Nokia is coming up with the Nokia Morph flexible Mobile Phone with the nanotechnology developed by Nokia Research Center and MORPH comes with a Transform Quickly and Change Shape and Morph Technology Based Upon Nano Technology. Capable of delivering flexible materials, transparent electronics, and self-cleaning surfaces. Mobile phones can be folded, turned into bracelet and the colour can also be changed completely. 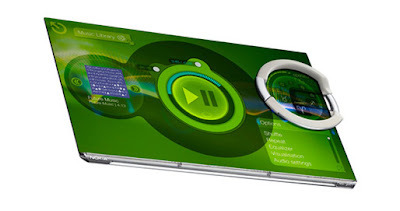 Liquid batteries to enable the flexibility and transparency of the materials used. 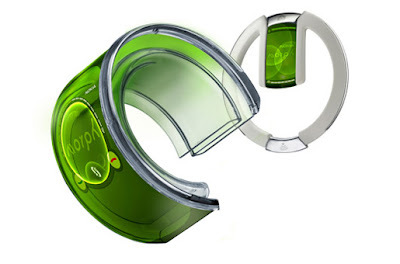 Morph is a amazing concept that the mobiles will be stretchable and flexible in future . It also allowing the user to transform these devices indifferent shapes radically. These concept device will be a perfect example of the functionality of nano technology of performing flexible materials, transparent electronics and self-cleaning surfaces.These Morph phone can be used in wrist with Wrist Mode.